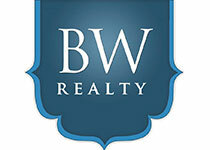 Burr White Realty is a full-service boutique real estate office specializing in vacation rentals. Since 1967 we have been the leader in representing some of the finest vacation homes in Newport, ranging in location from right on the sand to offering great view of Newport Bay — and everything in between! We specialize in luxury rentals, with several million-dollar oceanfront homes available year-round. Call or come by our office for a free brochure, or view our properties on our website www.burrwhite.com (you can even book online! ).